Nursery pots are great for use in any garden indoors or outdoors and they can be cleaned and reused again and again. 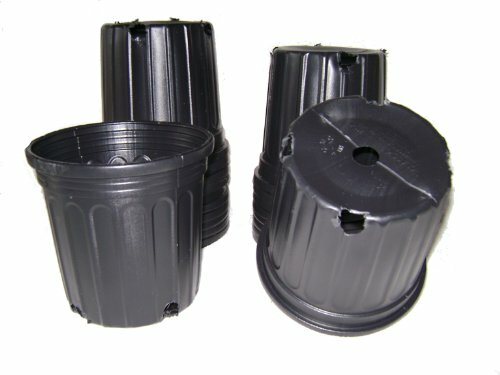 These blow-molded pots are known as a 3 gallon trade pot and they are used by nurseries. These pots actually hold An Actual Volume Of: 2.296 gallons gallons and not 3 full gallon . Pot dimensions (10 Inch Diameter x 9 inch Depth) and the have 5 Drain Holes. Known as a 3 gallon trade pot and they are used by nurseries.